Displaying results 1-16	of 16 results found. Information for the public about tooth decay. Information for the public about orthodontics. Information for the public about wisdom tooth removal. Information for the public about mouth cancer: Introduction, Diagnosing mouth cancer, Treating mouth cancer, Complications of mouth cancer, Preventing mouth cancer. Information for the public about root canal treatment. Information for the public about toothache. Information for the public about mouth ulcers. Information for the public about gum disease. Information for the public about the use of fluoride to prevent tooth decay. Information for the public about dental care for babies and children. 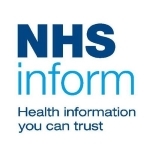 Information for the public about dental abscess from the NHS Inform website. This clinical guideline offers evidence-based advice on the care and treatment of children and young people under the age of 19 having sedation for therapeutic or diagnostic procedures.